Today we have some photos from reader Don McCrady, whose work hasn’t appeared here for a while. 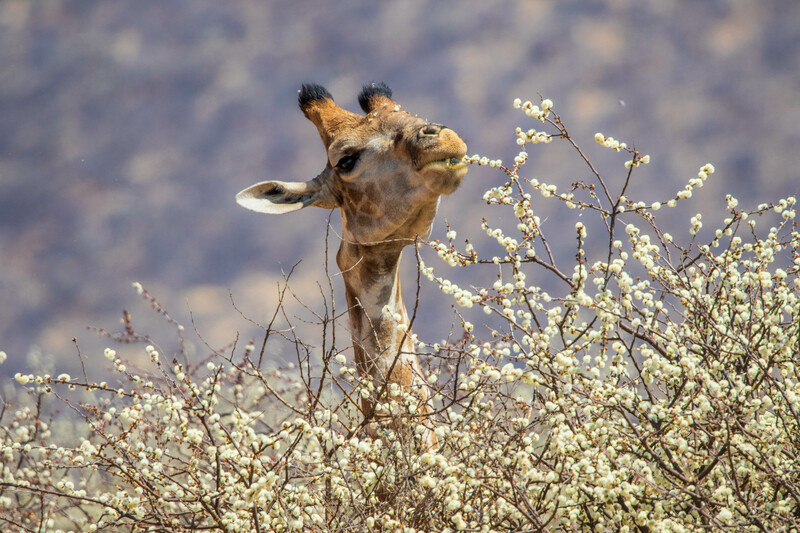 These are some of 5,000 photos he took on a recent trip to Namibia, and we’re promised more. Don’s captions are indented. 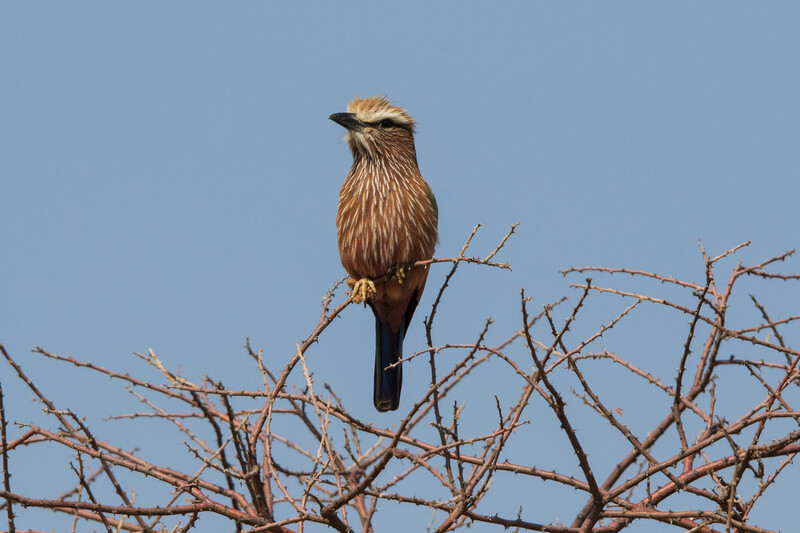 Here are a few shots of some of the wildlife we could see at the Erindi Private Game Reserve in Namibia. 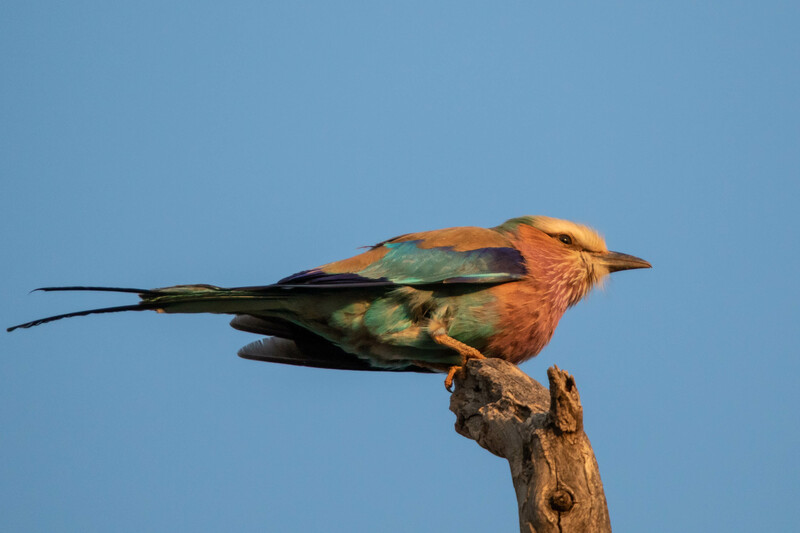 For the wildlife shots I used a Canon EOS 7D Mark II with a 150-600mm lens. For my landscapes and astrophotos, I used a Canon EOS 6D and a 14mm lens. 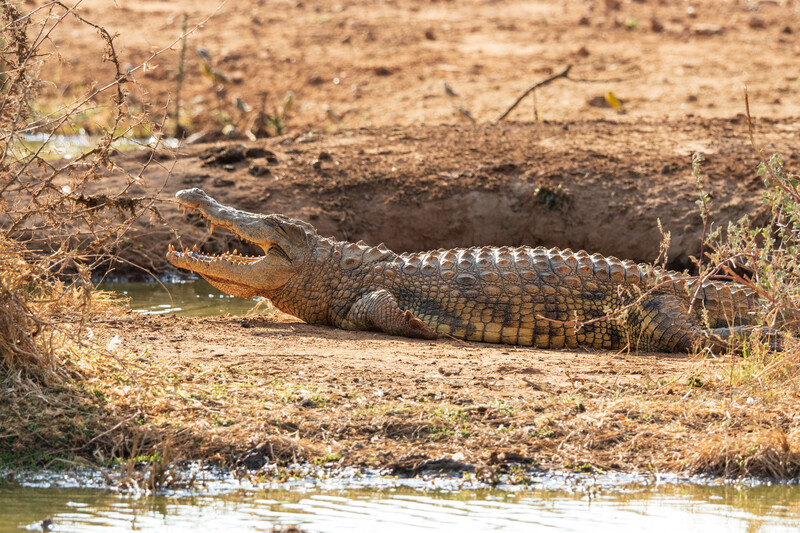 A Nile Crocodile (Crocodylus niloticus) was sunning itself near the water edge at the Camp Elephant waterhole, and very thoughtfully smiled for my camera. This last animal shot is not super-impressive, but it is—by far—one of the most dangerous shot I’ve ever taken. (I’ll send another dangerous shot in another post.) 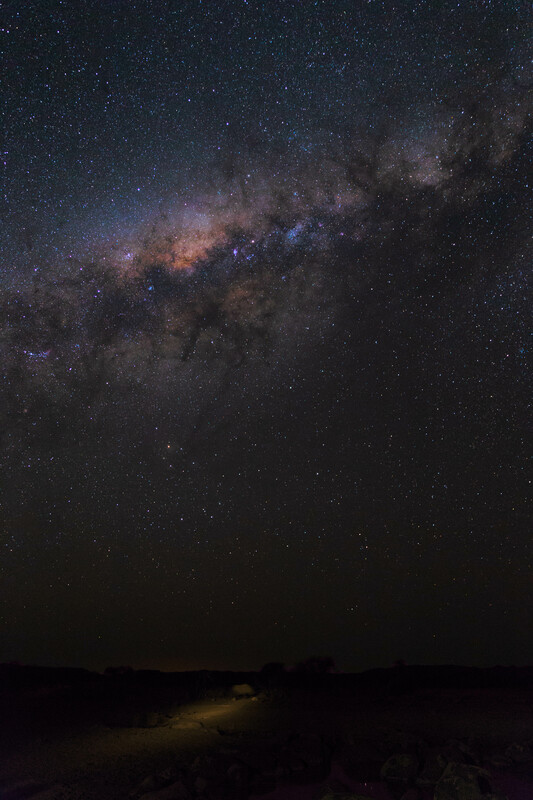 Our goal was to shoot the Milky Way over a waterhole and capture some of the wildlife in the shot. As you can see from this shot, I was only partially successful. To get the shot, we drove out into the middle of the Erindi Private Game Reserve, accompanied by a guide wielding a shotgun. When we got there, we did a spotlight sweep for any dangerous animals, and finding nothing there, we proceeded to set up our cameras, compose our shots, and wait to see what happened. We stood there in total silence and in absolute darkness. Every ten minutes, the guide would sweep the area with a spotlight to see if anything was creeping up on us. When the coast was clear we would wait again, sweep, and repeat. We did this for over an hour, with no wildlife to fill up our shot. Then, the guide announced he would start another sweep. The spotlight roamed around and then behind me it froze. There in the spotlight was a black rhinoceros, not 20 meters away from me (!!! ), and nothing in between him and me. Nobody heard him approach. 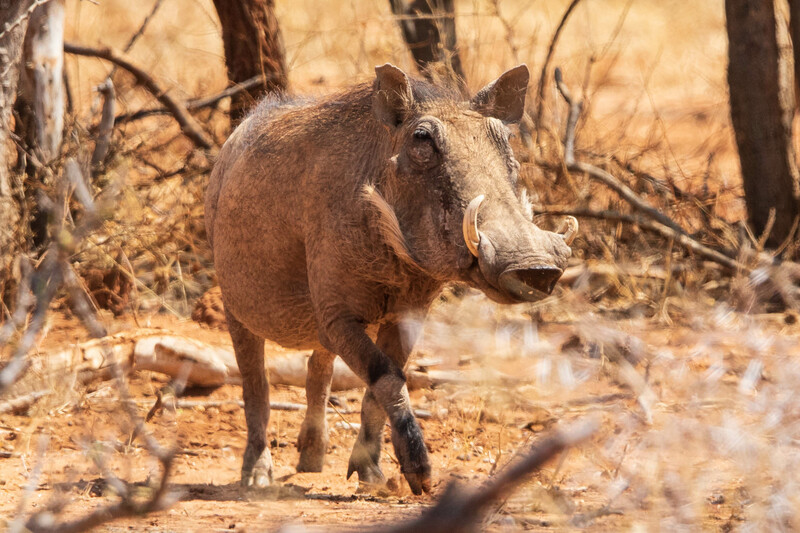 If he’d decided to charge me it would have been my end, but the rhino, spooked from the light, veered around our vehicle, and eventually wandered into the waterhole area. This is the best I could get from that night. Someone from our group illuminated the rhino for a brief period of time during my 18 second exposure, and you can see him in this shot. He is very noisy and blurry because he was moving nervously. Very soon after taking this shot, our guide very calmly told us to all get back on the bus, leaving our cameras and stuff outside. He had detected a herd of elephants incoming and genuinely feared for our safety. Once on the bus, our cameras were one-by-one passed back into the vehicle and we prepared to depart. As our vehicle’s lights went on, we saw a giant herd of elephants approaching the waterhole, and another group from the other direction. Once again, we never heard them coming. Looking back, if a rhino and a herd of elephants could sneak up on us without making a sound, we wouldn’t have stood a chance against a lion. Oh, and yes there were lions roaming freely around the park. Anything for the shot, right? This entry was written by whyevolutionistrue and posted on November 27, 2018 at 7:30 am and filed under astronomy, astronomy and cosmology, birds, mammals, photography, reptiles. Bookmark the permalink. Follow any comments here with the RSS feed for this post. Both comments and trackbacks are currently closed. The rhino into the starlight photo feels like a poignant metaphor for their impending extinction. Sad but lovely. I always have to remind myself that these creatures (like the elephants) are herbivorous. Imagine how much we’d worry about things which actually want to eat us! So nice to hear that there are giant herds of elephants. Go elephants! Beautiful! I think the view of the milky way here is in the Sagittarius region, which is the center of our galaxy, though the center is obscured by dusty nebula. In there is a massive black hole, right above the black rhino. 5,000 shots? Gotta love digital. Look forward to seeing more. Holy crap. Glad you’re safe!